Well what did you think of the Superbowl? For me it was just eh. But jeez Hyundai, really? We had a fun low key day at home in the rainy and windy weather, I sorted more stuff and have a growing stash to donate again. The pups had lazy days with the cold, wet weather. 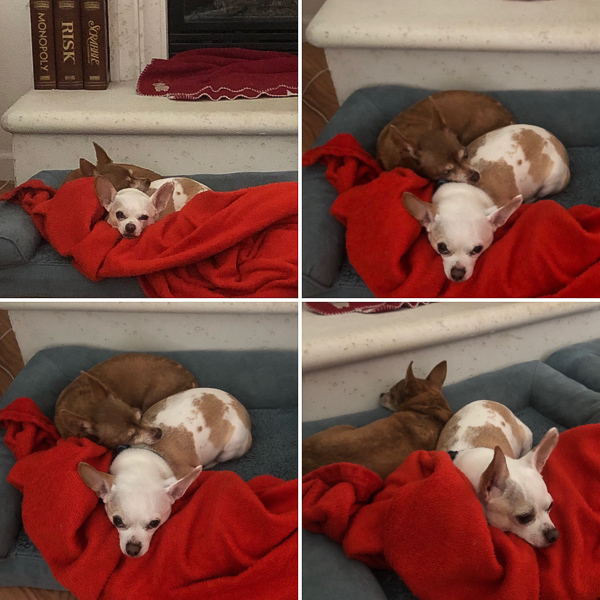 Hubby caught these adorable pics of them cuddling but the fireplace. It’s been a tough week with Leela, she’s seems to be getting more disoriented and frustrated barking in the house more when she can’t find her way or gets lost in the backyard. And she recently started wetting her bed in her sleep playpen at night instead of the potty pad which means I’ve been doing a lot of laundry. She still moves around okay and has an appetite, but it seems dementia and senility are possibly getting worse. I’ve been reading up on that more and all we can do is take care of her and make sure she has a good quality of life, so tough to watch them age. 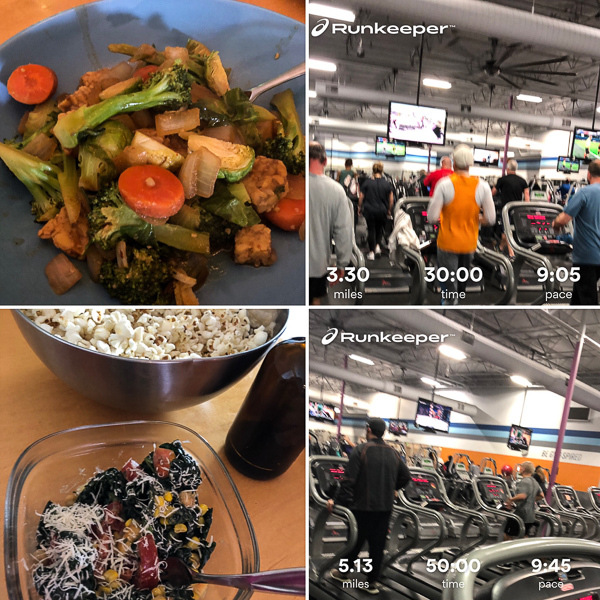 Running this week has been lackluster with the weather, strong winds and rain when I have time to run means treadmill runs. But I’ve been glad just to get to the gym. 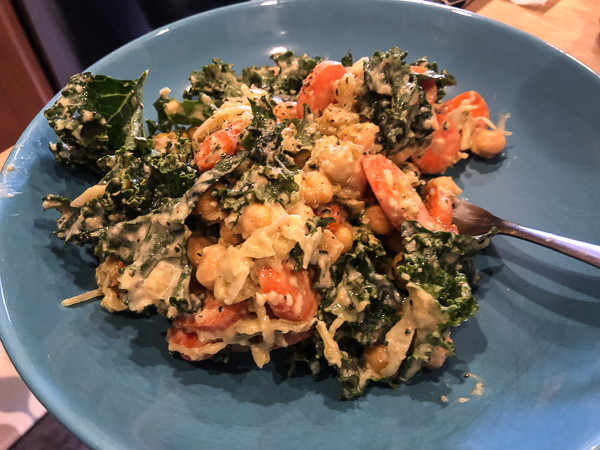 More tempeh stir fries this week and an interesting lunch of leftover kale salad, vegan Parmesan cheese, and popcorn with tamari, apple cider vinegar, and a little liquid smoke for a popcorn spritz. It’s delicious and oil free. 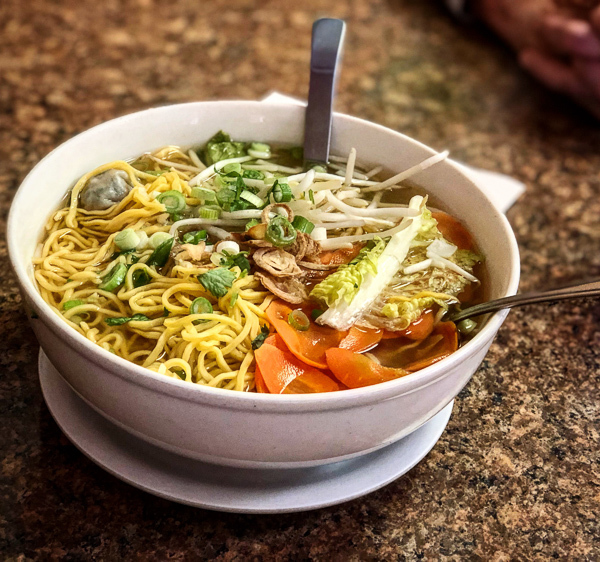 We also had lunch at Pho Vegan Asian Cuisine one day and this vegan wonton soup hit the spot on a chilly, overcast day. 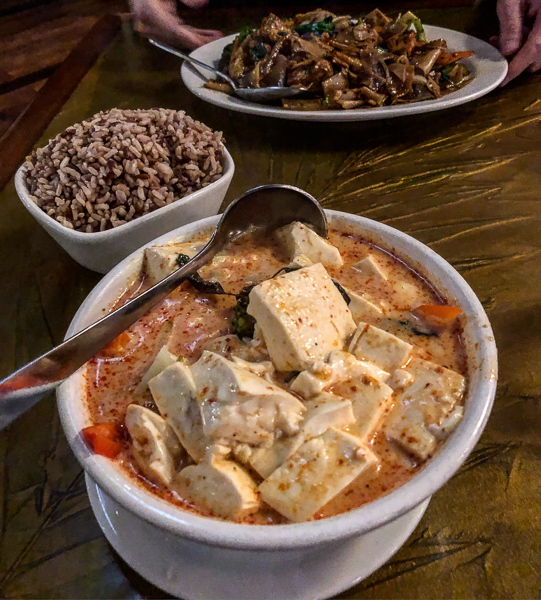 So did this kicky tofu coconut curry from a local Thai place Friday night while it was down pouring outside. 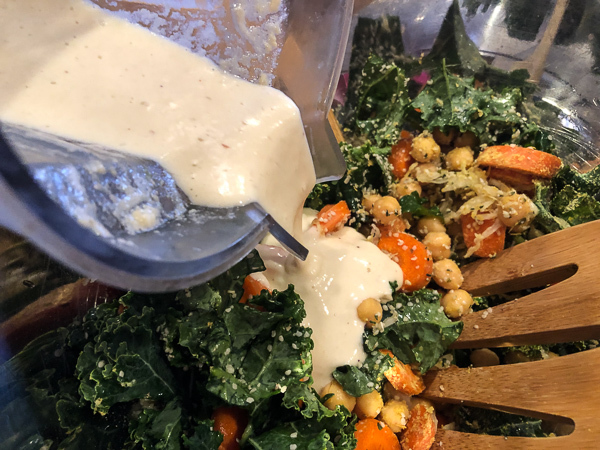 And I created another salad dressing with tahini. I love simple tahini blended with garlic and citrus, so tangy and vibrant. But many tahini dressing recipes call for sugar. While a playful hint of sweetness does add fun, it can be done with banana instead and get a richer and creamier texture. I always have a stash of frozen bananas in the freezer, especially when I can find very ripe ones at Grocery Outlet discounted for fast sale. They’re not just great for smoothies and banana soft serve, they’re also perfect for blended dressings and sauteing into oatmeal. Place all ingredients into a high speed blender and blend to a smooth and creamy texture. 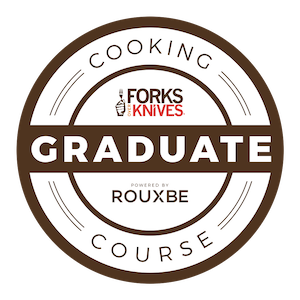 Serve and enjoy, makes 4 servings. The texture works, it pours well, but still coats perfectly. And the flavor works, tangy and rich garlic, savory, with a fun creamy sweetness complementing kale perfectly. This sweet potato and kale gnocchi recipe sounds perfect. This is such a great family success story. Physicians Committee for Responsible Medicine protest McDonald’s Bacon Hour. The Black Eye Peas released a vegan rap video. One month into this author’s year of vegan. Vegan diets may boost weight loss. 28 vegan recipes for a delicious February. Vegan supermodel sets running record. To level with you, we thought the Super Bowl quite terrible! We much preferred the kitten bowl which was most excellent! I bet my son would like this dressing, he’s a banana man and he’s finally learning to eat salads. Agreed, haha. I’m glad we stayed home and I was able to work on other projects, haha. Yes, try it with him! Bananas are such a great alternative to sugar in dressings. Tahini banana! Now that’s an unconventional combination. I did have a great banana curry while in Thailand though, so I’d be willing to give it a try. Nice, that trip sounds so fun, I would never get tired of trying new curries! Seriously, the game was a snore and that Hyundai commercial ticked me off. Not too smart on their part since vegansim is on the rise in 2019. Haha, so true on the game. And agreed on Hyundai, not a smart move with the growing trend and their retraction attempts weak. Thanks on Leela, I’ve been trying to get her out more during the night and it can be tough. I know she hates going inside, but gets confused and disoriented. So true on them aging.